Born: 1840, St Mungo, Dumphriesshire, United Kingdom. Died: 19 March 1904, Cape Colony, South Africa . 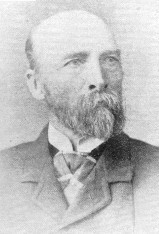 Walter Jardine, son of James Jardine of Dumfriesshire, Scotland, was appointed curator of the Grahamstown Botanic Garden in 1867, succeeding W. Tuck*. He retained the position for a few years only. At his death in 1904 he left 4000 pounds sterling to the South African College, Cape Town, the interest on which was to be used for scholarships named after him. He is probably the same person as Walter Jardine who came to the Cape Colony in September 1858 from Lanark, Scotland, aged 17, with his father James, a gardener and mason, and the rest of his family. In 1899 one W. Jardine donated a collection of mollusc shells to the South African Museum. This may have been Walter, though there were other local W. Jardines too at the time. Bull, E. Aided immigration from Britain to South Africa, 1857-1867. Pretoria: HSRC, 1991. Grahamstown Journal, 24 May 1867, p. 2 and 13 May 1868, p. 2: Botanic Garden. South African Museum. Report, 1899.